Sophomore AVID III engages in Zarria's TEDTalk about school shooting effects. Every year the AVID senior class are assigned the TEDTalk assignment. A TEDTalk is a Technology, Entertainment and Design conference where many different topics are discussed. 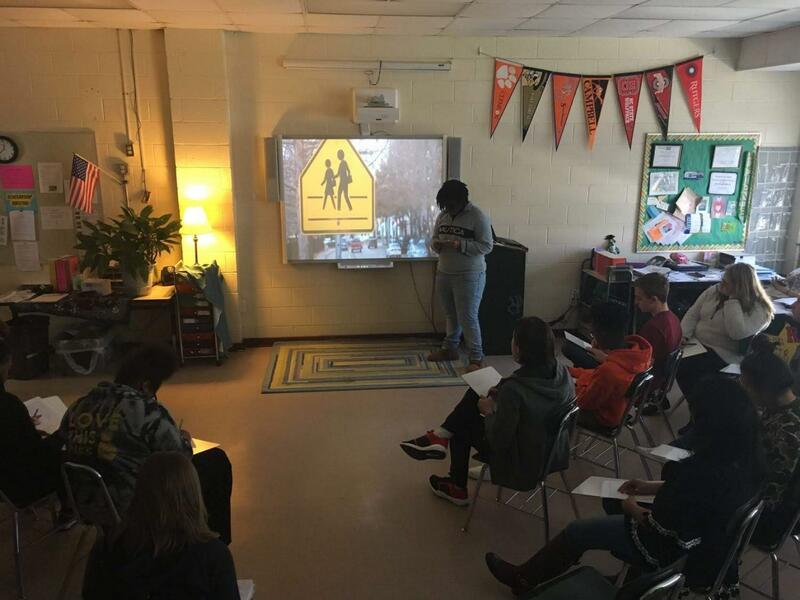 Mrs. Jyll Jacoby-Burns is AVID’s Co-Site Team Coordinator, AVID Elective Teacher, and AVID Honors English Teacher, who assigns the TEDTalk assignment as a broad way to allow seniors to express themselves. 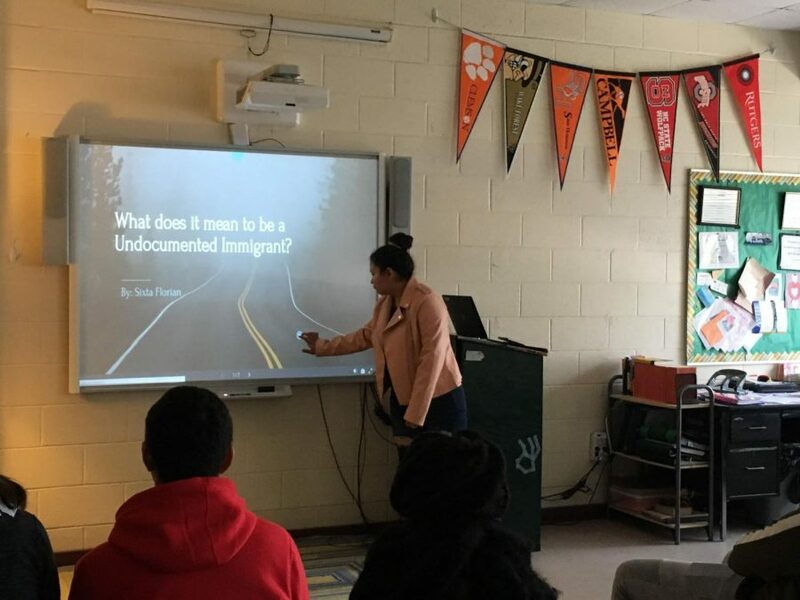 This year the class of 2019 AVID IV TEDTalks were held on February 28th, March 4th, and March 6th. The topics for these topics ranged from questions like, “Is dating a thing of the past?” to “How can we limit school shootings?”. Sixta tells the freshman AVID I about what it means to be a undocumented immigrant.